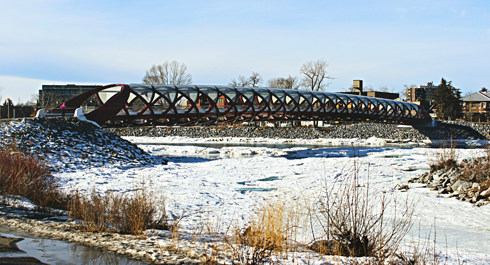 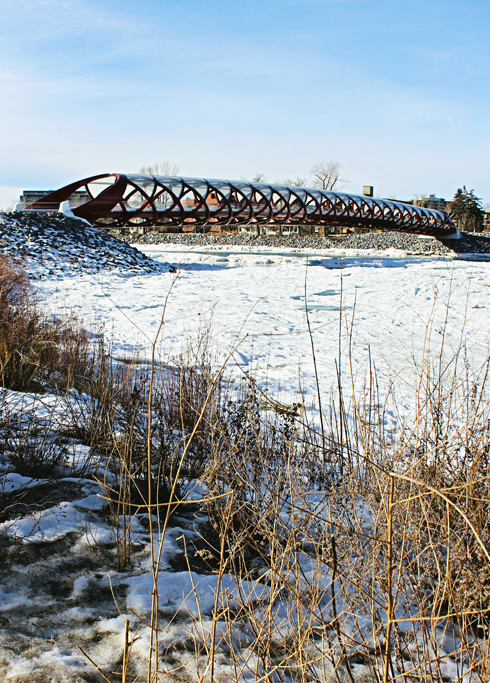 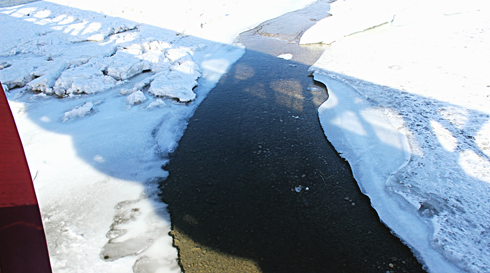 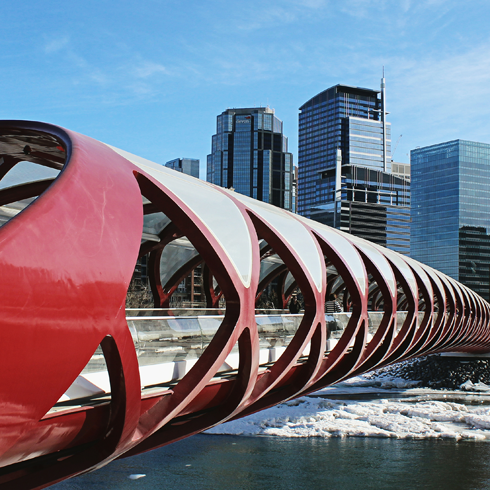 Opened in 2012, the Peace Bridge in Calgary, Alberta is a notable attraction in the city's core. 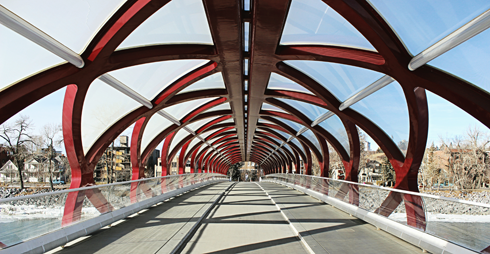 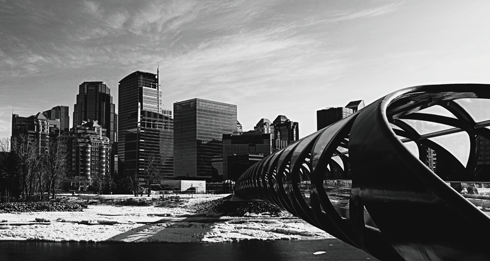 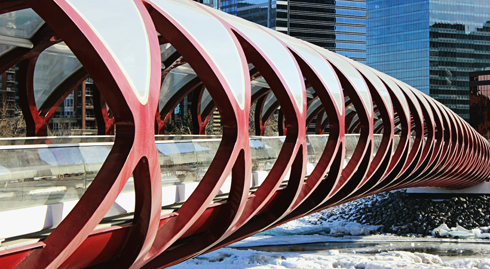 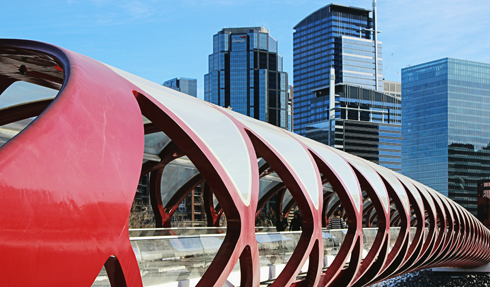 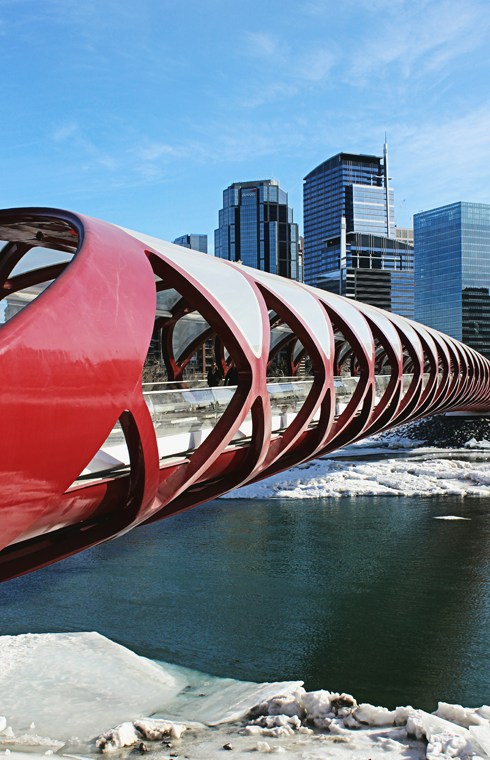 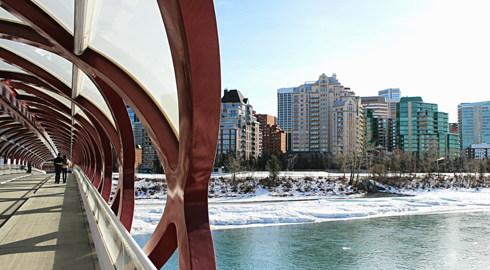 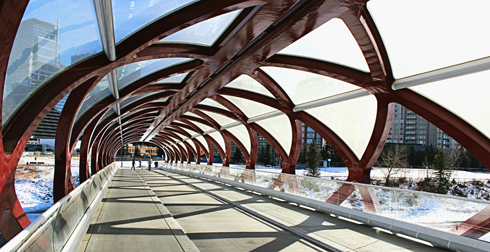 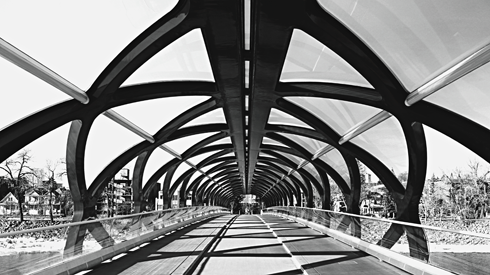 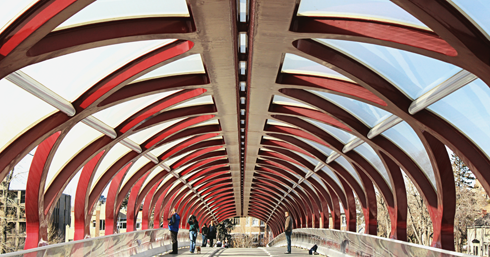 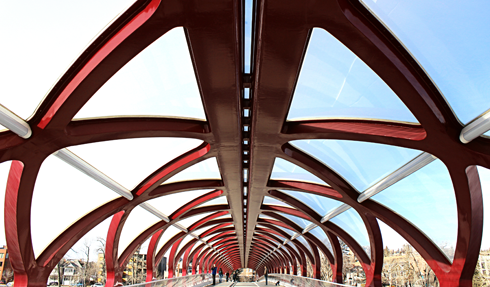 Designed by Spanish architect Santiago Calatrava, the 428 ft. pedestrian and bicycle bridge spans the Bow River to connect the community of Sunnyside with downtown Calgary. 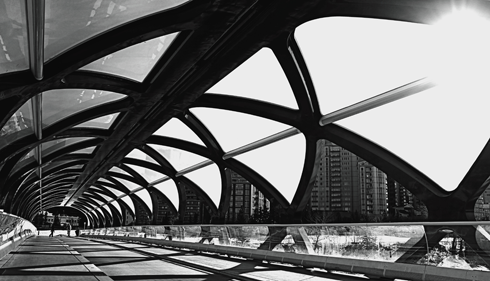 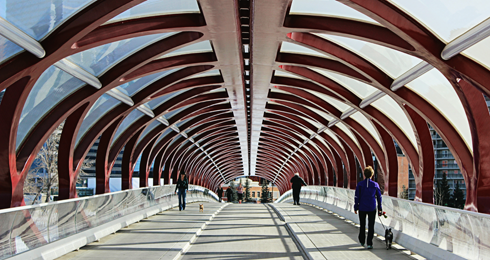 Featuring a bold geometric design that blends steel and glass, the Peace Bridge is a popular spot for visitors. 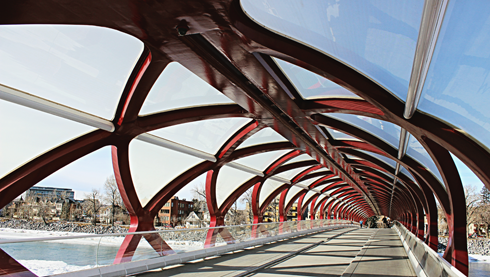 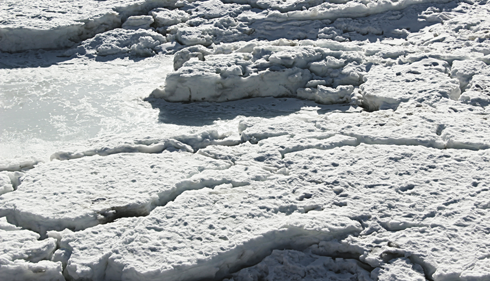 Not surprisingly, it's also become a highly photographed landmark.